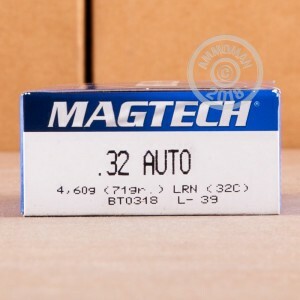 This .32 ACP ammunition from Magtech is hard to beat for cost-effective trigger time. 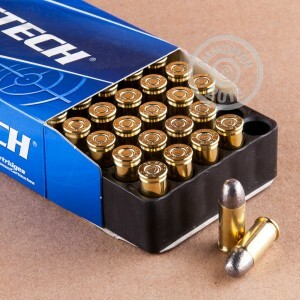 Each cartridge in this box of 50 fires a 71 grain lead round nose bullet at a muzzle velocity of 905 feet per second. 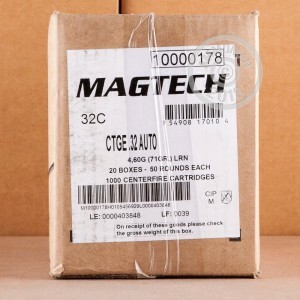 Magtech ammunition is made in Ribeirao Pires (just outside Sao Paulo) in Brazil by CBC, the largest defense contractor in Latin America. It uses non-corrosive Boxer primers and brass cases. Low on ammo? Stock up at AmmoMan.com, where all orders over $99 ship for free!